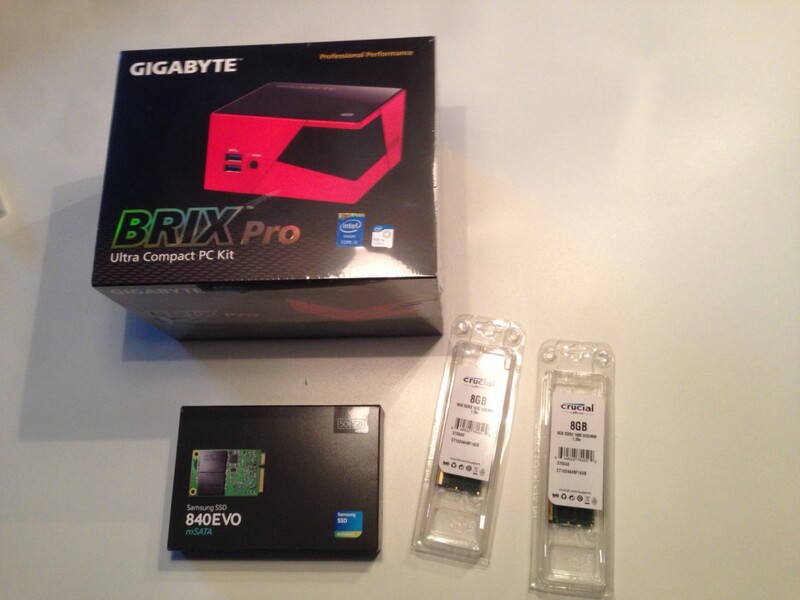 I needed a small, cheap and yet rather powerful platform for a home server to play around with. Preferably, it should be a virtualizing platform so I could run multiple servers for testing purposes. Of course, one could just buy a decent desktop computer for this purpose, but I think there are two major drawbacks with that solution. First, it’s noisy 🙂 – and I don’t have a dedicated server room at home. Second, it’s rather costly in terms of the electrical bill over time. So what would be the perfect platform? I read some articles about Intel’s NUC and learned that it is capable of running a VMware ESXi Hypervisor or Microsoft Hyper-V Hypervisor. The unit is small, quiet, fairly cheap – also the running costs. 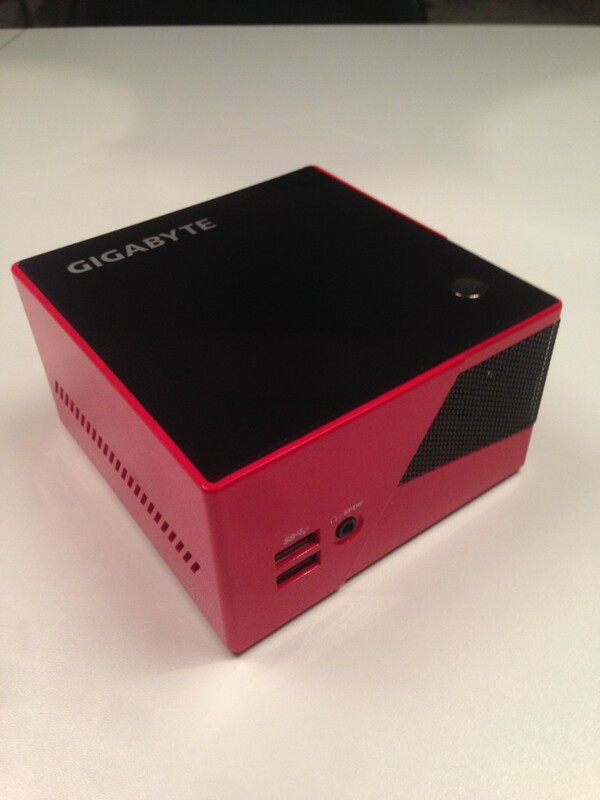 I ended up buying a GigaByte Brix GB-BXi5-4570R, which is equipped with a quad-core i5 Intel CPU. It is also available in an i7 version, but I had to draw the line somewhere… 🙂 This version supports both a mSATA SSD harddisk and a standard 2,5” SATA disk and up to 16GB RAM, so it seems perfect for a small home VMware host. I have put in a 500GB mSATA SSD disk and 16GB RAM, and left the 2,5” bay empty – for now. I will use VMware ESXi as my hypervisor, and it is available in a free edition. Hyper-V is also available in a free edition, if this is your preferred hypervisor. The free edition is a core-only server. I’ll post more articles as the project progresses.